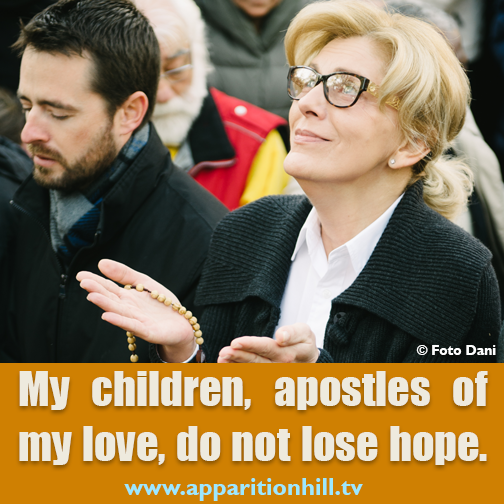 Join filmmakers Sean Bloomfield, Cimela Kidonakis, and some of the cast and crew of the documentary film Apparition Hill on a unique pilgrimage to Medjugorje. Our trips are hosted by visionary Mirjana Soldo and her family, and our guide is Miki Musa. Experience the phenomena of Medjugorje in the most intimate way possible: staying with a visionary and her family. Our pilgrimages are deeply spiritual but also fun and joyful. Come early or stay later with one of our add-on options. Plus, optional side-trips include Dubrovnik, Croatia; historic Mostar; Siroki Brijeg and more. Breakfast and Dinner Daily – Delicious, fresh food! The October pilgrimage will be in both English and Espanol! *With add-on Extended Pilgrimage, be there for Mirjana’s 2nd of the month apparition! The add-on price ($560) includes airport transfer, double occupancy accommodation, breakfast and dinner daily. This part of the trip will be hosted at the beautiful Two Hearts Hotel. By joining this pilgrimage, you will be fully immersed in the Medjugorje phenomena. Space is very limited so please reserve your spot soon. Price includes all taxes and airline fees! Price based on double-occupancy. If you need a single room, the extra price is $290. Discounted ares available from other cities. Contact us for exact fares and availability. Prices are subject to change.